You can’t go wrong with these dashing two-piece outfits. It’s finally that time of year again where we can start thinking about our spring wardrobes and planning for the fun outfits we’ll wear once warm temperatures arrive! Co-ord sets, which are at once retro and of-the-moment, are still trending hard and are one of my favorite trends to stock up on for spring. If you’re in search of one of these matching sets, I’ve got you covered. Some of my favorite shops carry the cutest co-ord sets at affordable prices and this season, each shop has a large selection in stock. Below, you’ll find my three go-to places to buy the best co-ord sets. From flowy florals to picnic gingham, each store has a look for anyone. 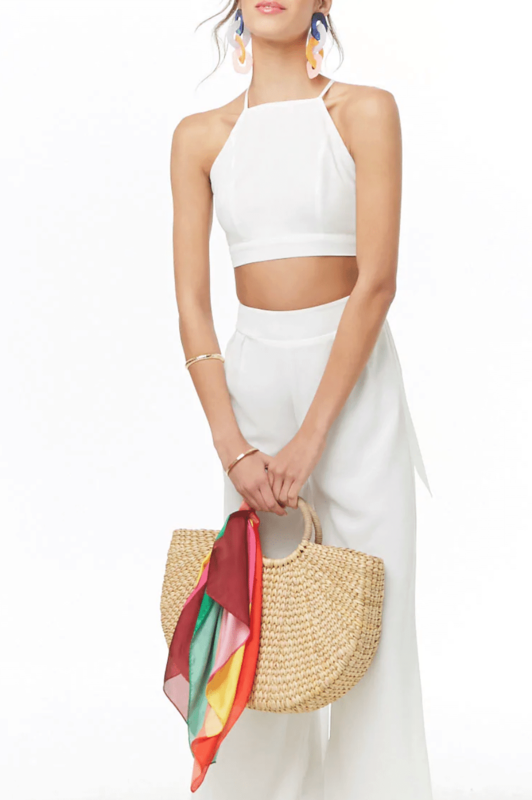 Much of American Eagle’s Co-ord Sets come styled as a crop top with either pants or shorts. One of my favorite things about AE’s co-ord sets is that each piece can be purchased separately, so if you’re looking to mix and match, you aren’t married to both pieces. But because of this, the set can run a little more expensive compared to sets from other stores, but at most, to purchase both pieces, an entire set should run you $60 or less. You can check out AEO’s co-ord sets section here. You can never go wrong with ordering a co-ord set from Boohoo. The store offers looks for everyone, whether it’s a solid colored set, tropical printed set, gingham printed set, and more. No two sets on Boohoo are alike, which is something I really love about the store. Another factor that really brings it home for me is that they have many different styles of sets. There are sets with mini, midi, and maxi skirts. Sets with shorts, palazzo pants, trousers, culottes and more. Boohoo’s variety of co-ord sets makes it easy for one to channel their inner sense of style — they run as cheap as $15 and as expensive as $70, but they do offer free shipping on orders $30+ and almost always have sales going on. Before purchasing from Boohoo, make note that most sets are sold together, not separately. To check out the rest of their co-ord collection, visit Boohoo’s Co-ord Sets section. Forever 21 didn’t carry official co-ord sets until early last year and now they have a complete collection of sets that bring to mind a seaside breeze on the Mediterranean. Their new collection of sets is full of many different prints, creating textured uniform look for both days in and nights out. 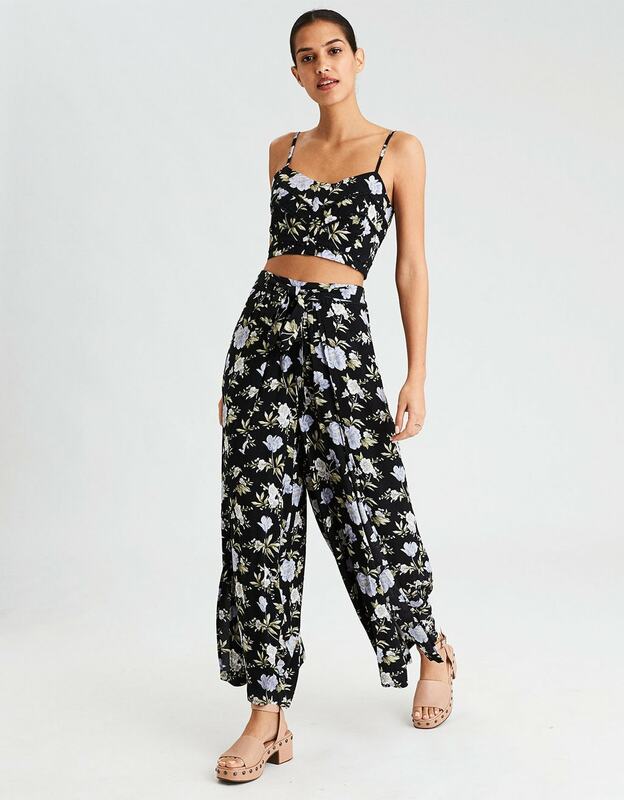 One of my favorite things about Forever 21’s co-ord sets is that each piece is sold separately, which will allow you to create a combo tailored to you. Also, Forever 21 is the cheapest option out of the three stores listed, so you can’t go wrong with price here. Together, a full set can cost you between $25-$70. To check out their full collection, visit their co-ord sets page here. While many other stores carry co-ord sets, American Eagle, Boohoo and Forever 21 are just three of my favorites. What do you think of the three stores above? Where do you purchase your sets from? Leave a comment below!